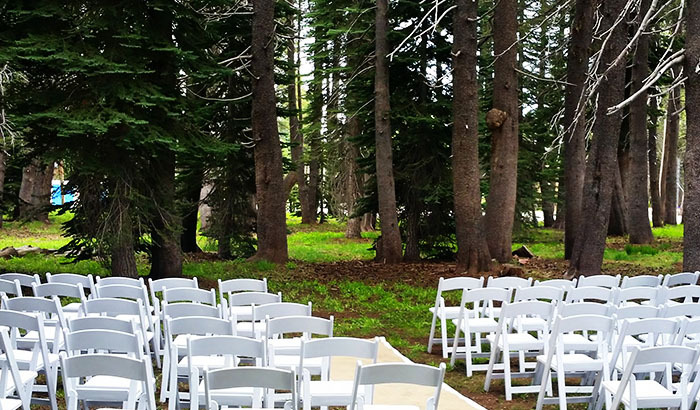 Bear Valley Mountain, Bear Valley Lodge, and the Stanislaus National Forest provide a stunning and intimate setting for your special day. 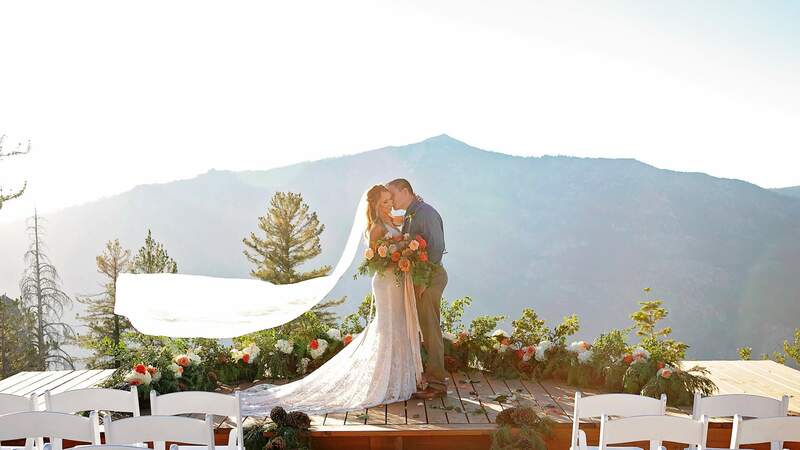 If Mountains, lakes, wildflowers, granite walls, or snowy backdrops are part of your vision, Bear Valley is the perfect place for breathtaking ceremony locations to create your happily ever after. Visit and experience all the grandeur of the Stanislaus National Forest. We are happy to put together an unforgettable experience for you and your guests. Imagine saying “I Do” on the mountaintop at 7,750 feet on a spectacular afternoon. After, head in for the perfect celebration at the Mountain, Lodge or in the Village. Bear Valley’s facilities can accommodate receptions from 25-200 guests. It’s time to get creative and have some fun on your special day. DID YOU KNOW? We offer a Complimentary Night’s Stay at the Bear Valley Lodge for a venue and site tour! Contact our Wedding Specialist to schedule a wedding venue tour or for more information! Weddings at Bear Valley have never been easier. Bear Valley can support you every step of the way with our in-house planning team ready to help with every detail. 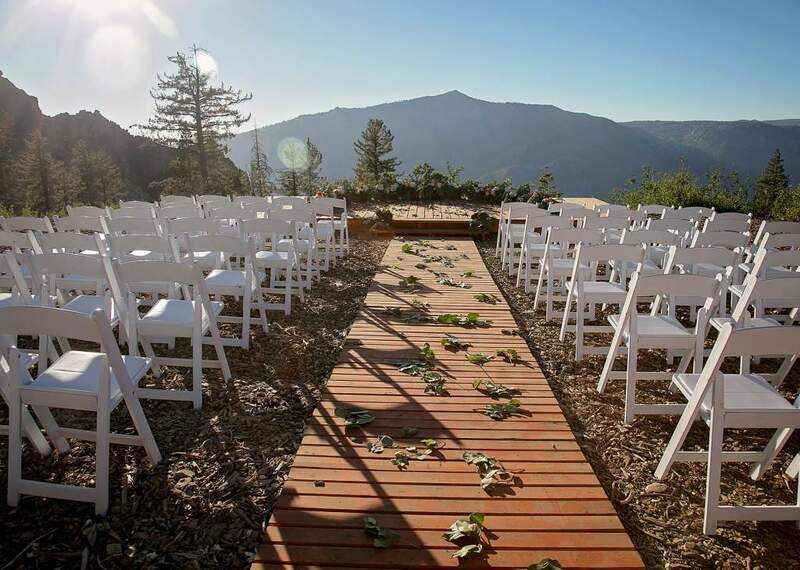 Located at Bear Valley Mountain, this awe-inspiring venue allows you to have your ceremony with the amazing Sierra Nevada Mountains as your backdrop. 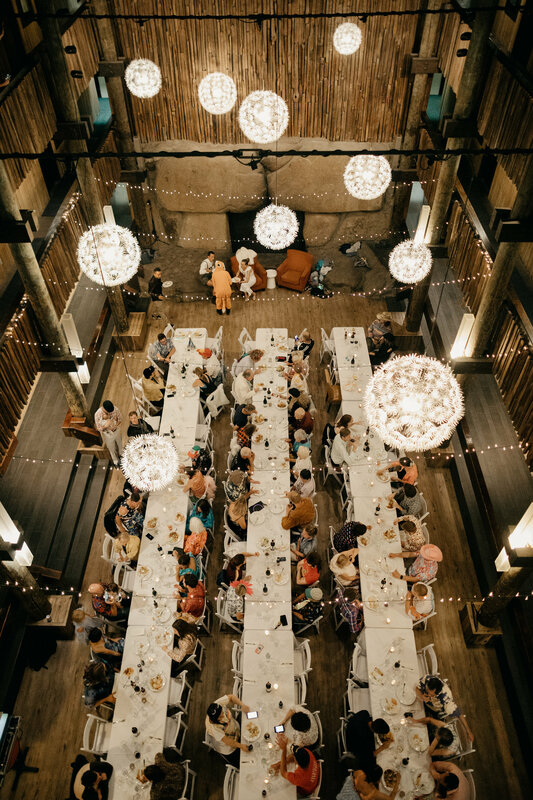 Located in the Bear Valley Lodge, this gorgeous venue gives a rustic feel and is complete with a stunning four-story fireplace build from native granite. 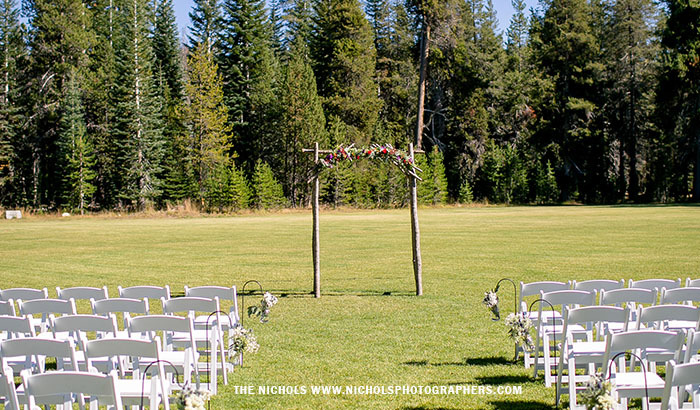 Located a quarter mile away from Bear Valley Village, Alpine County Meadow provides approximately three acres of manicured lawn, with a beautiful backdrop for summer weddings. 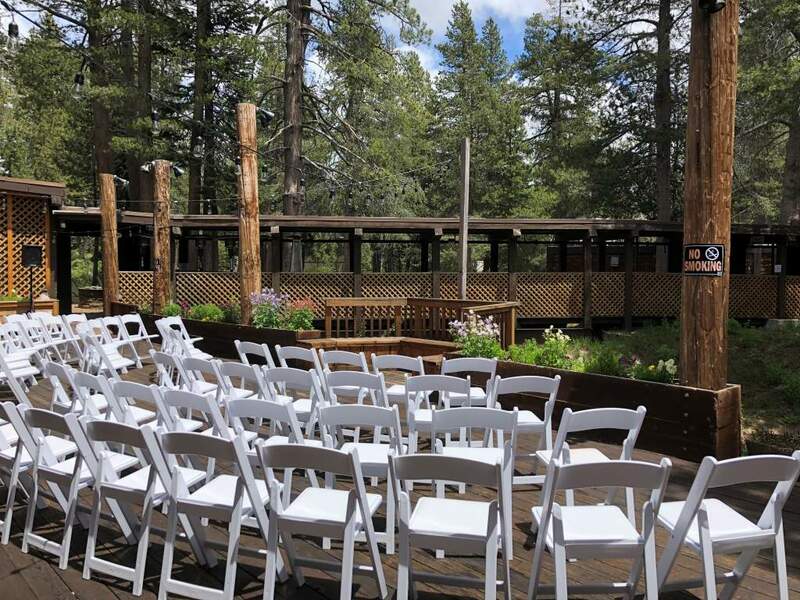 A five-minute walk from Bear Valley Lodge, Bear Valley Village offers a quaint, secluded venue with a lush forest backdrop. 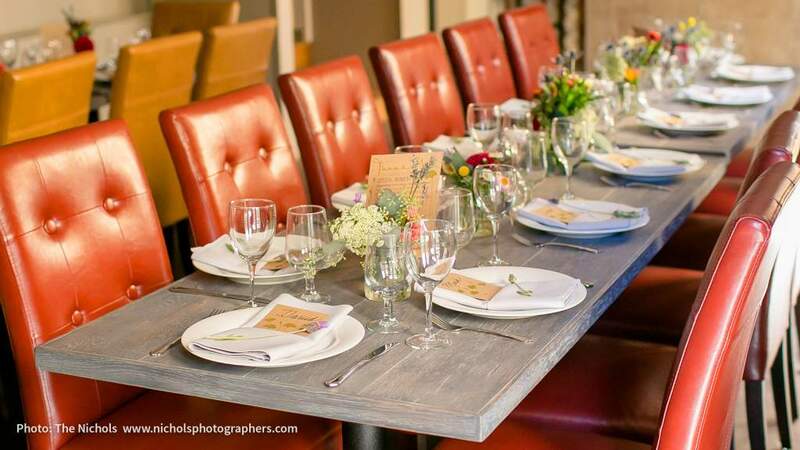 This seasonal venue is located right off of the Creekside Dining Room. Enjoy fresh mountain air while sitting next to a flowing stream and appreciating the sights and sounds of the Sierra. A breathtaking venue ideal for an elegant reception dinner. Creekside also includes a full bar. 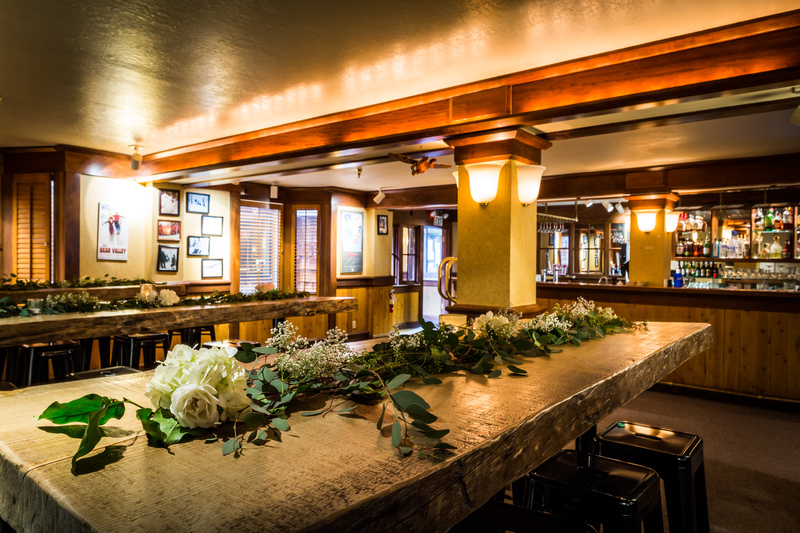 This cozy bar and grill is located off of the Cathedral Lounge. The venue has a full bar as well as several cocktail tables to sit back and enjoy a cold drink.